Here’s a rarity: an interview with Thelonious Monk in which he actually says something about himself and his music. I suspect the fact that Valerie Wilmer was the interviewer had something to do with the success of the interlocution. Val Wilmer was born in Harrogate, Yorkshire, England, on 7 December 1941. As soon as World War II was over, her family returned to living in London. [ She began her life in the jazz world by listening to pre-war recordings of jazz classics, being led to many important recordings through Rudi Blesh's Shining Trumpets, a History of Jazz, and Jazz by Rex Harris. Aware of the earliest records of jazz and blues, Wilmer began to write about Jazz and other African-American music, focusing on the political and social messages of the music. Her first article (a biography of Jesse Fuller) appeared in Jazz Journal in May 1959 when she was still only 17. Since 1959, she has interviewed hundreds of musicians, written previews and criticism. Her work has been cited and used in research for many books, articles and films, including several biographies of major musicians. Her early interviews with Earle Warren Lee Young, and Paul "Polo" Barnes are cited in Douglas Henry Daniels' Biography of Lester Young. 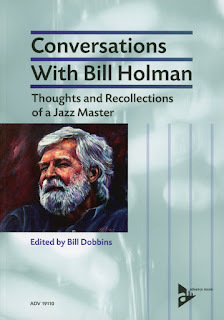 Interviews with Thelonious Monk, Nellie Monk and Billy Higgins are cited in Robin D. G. Kelley's biography of Thelonious Monk. 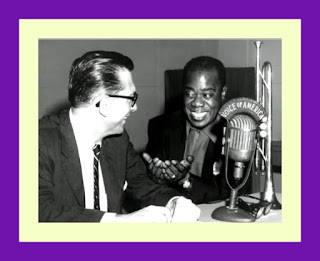 Other examples of the use of Wilmer's early interviews include "Texas Trombone: Henry Coker" in Dave Oliphant's books Texan Jazz and Jazz Mavericks of the Lone Star State. She was a member of the advisory board for The New Grove Dictionary of Jazz (2nd edition), edited by Barry Kernfeld, and the author of 63 entries. She has written more than 35 articles for the Oxford Dictionary of National Biography. The British Library Sound Archive contains 35 of Wilmer's interviews with black British musicians and women musicians in its Oral History of Jazz in Britain. Wilmer is as important a photographer as she is a writer, having worked with hundreds of singers, jazz musicians and writers, and she has taken noted photographs of artists such as Langston Hughes, Louis Armstrong, John Coltrane, and Duke Ellington. Her photographs were exhibited at the Victoria and Albert Museum (V&A) in the 1973 exhibition Jazz Seen: The Face of Black Music, and form part of the V&A's photographic collection. Her photographs are also held in the National Portrait Gallery collection. The following interview appeared in the June 3, 1965 edition of Downbeat. “Now it's Monk's time. Times have been bad for the eccentric genius and the work all but nonexistent. But he's famous now. He appears in the slicks, he wears £150 suits and stays at the best hotels. But as his wife, Nellie, says, "He's no more impressed with himself than he was in the dark days." Music is his life, and he appears to be concerned with little else outside of it, himself and his family. If he ever thinks of the way of the world, he rarely shows it. Speaking of Monk the composer, Quincy Jones summed it up: "Thelonious is one of the main influences in modern jazz composition, but he is not familiar with many classical works, or with much life outside himself, and I think because of this he did not create on a contrived or inhibited basis." An interview with Monk takes patience, but while he was on a European tour recently, he had more time than usual to relax. In London, there was opportunity to find out the way he feels about his music and other subjects. 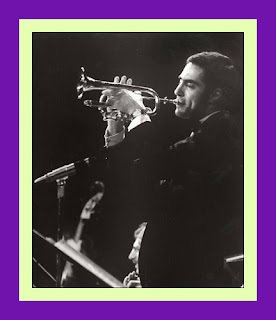 "I started to take up trumpet as a kid, but I didn't play it," he began tentatively. "I always wanted to play the piano, and jazz appealed to me. I just like evey aspect of it. You can try so many things with jazz. 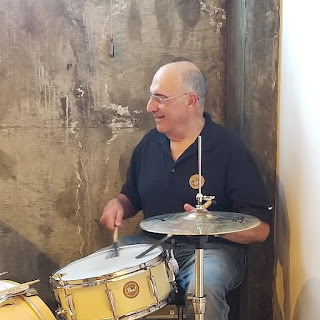 I was about 11 or something like that when I started, and I used to play with all the different side bands when I was a teenager." Did he ever think he might become a world-famous jazz pianist? "Well, that's what I was aiming at." Although he received classical training. Monk plays "incorrectly." with his hands held parallel to the keyboard. He doesn't stab at the keys the way some imagine. It's a flowing thing. Was he ever taught to hold his hands in the formal manner? "That's how you're supposed to?" he asked, wide-eyed. "I hold them any way I feel like holding them. I hit the piano with my elbow sometimes because of a certain sound I want to hear, certain chords. You can't hit that many notes with your hands. Sometimes people laugh when I'm doing that. Yeah, let 'em laugh! They need something to laugh at." 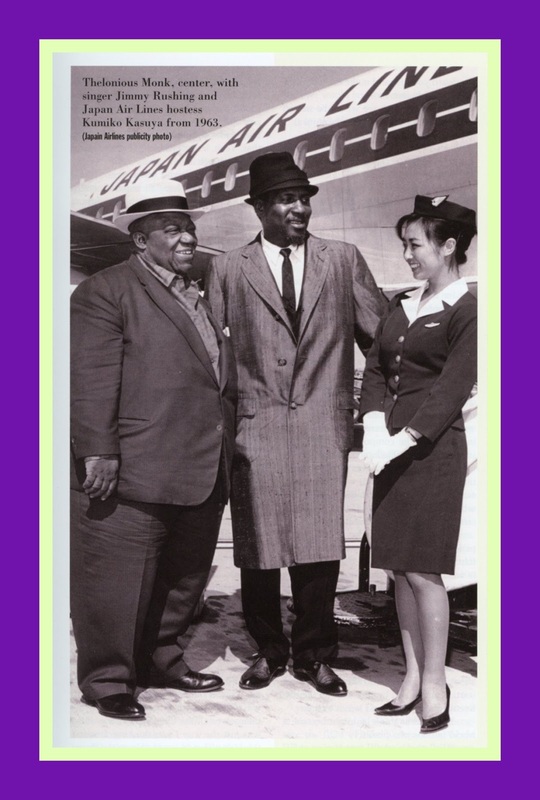 Monk lived with his parents off and on until his marriage, an unusual pattern for a jazz musician, although he claims. "I don't know what other people are doing — I just know about me. 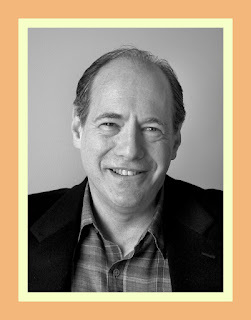 I cut out from home when I was a teenager and went on the road for about two years." His mother, who was particularly proud of her well-behaved son, sang in the choir at the local Baptist church in New York City, where the family lived; whenever she had a leading part. Thelonious would accompany her on piano. And she would visit the dives where he worked. "My mother never figured I should do anything else," Monk said. "She was with me. If I wanted to play music, it was all right with her, and Nellie is the same way. "Yeah, I played in the Baptist church, and I'll tell you something else — I worked with the evangelists for some time, too. The music I played with them seems to be coming out today. They're playing a lot of it now. I did two years all over the States; playing in the churches was a lot of fun. When I got through. I'd had enough of church, though. I was in there practically every night. But I always did play jazz. In the churches I was playing music the same way. I wouldn't say I'm religious, but I haven't been around the churches in a good while so I don't know what they're putting down in there now." Of Minton's, the Harlem club long held the incubator of bop, Monk, like others of his fellow iconoclasts of the time who played there, declared that the music "just happened. I was working there, so the others just used to come down and play with me. I guess they dug what I was doing. It was always crowded there, people enjoying themselves all the time. What I was doing was just the way I was thinking. I wasn't thinking about trying to change the course of jazz. I was just trying to play something that sounded good. I never used to talk about it with other people, but I believe the other musicians did. It just happened." For a long time the pianist found it difficult to obtain work, but he says with typical Monkish nonchalance. "I didn't notice it too much. I had certain things to do. I wasn't starving." Nellie, whom he married in 1947, was a great help and comfort through the lean years. She worked at a variety of clerical jobs and when she was pregnant with their first child. Thelonious Jr., used to take in sewing. "Music to him is work," she said. "When he wasn't working regularly, he'd be working at home, writing and rehearsing bands that didn't have the prospects of a dog. He just did it to know what it'd sound like. In the 'un' years, as I call them, as far as he was concerned, he felt just as confident as he does now that what he was doing musically could appeal to other people if only they took the opportunity to listen. We live music every day. Thelos has never attempted to do anything else except play music. He's always been optimistic. "Her husband confirmed this: "How can I be anything other than what I am?" A couple of years ago soprano saxophonist Steve Lacy declared his intention to limit his repertoire to Monk tunes, of which there were almost 60 then. "Yeah, I heard he was doing that," Monk said. "But I haven't heard him yet. I guess if anybody wants to do that, it's OK." He says he has no particular favorites among his many compositions and that the unusual names for many of them "just come to me," He composes at the piano sometimes, though more often than not he has a melody running around in his head. 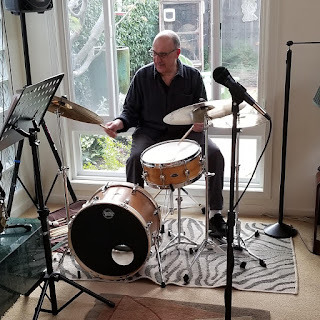 Although he said, "You have to stay home and relax to write the music," his wife commented, "He thinks about music all the time when he's not talking. He may be able to compose in a room full of people, just standing there. I don't know anybody else who can just withdraw like that. He has a marvelous capacity for withdrawal." This withdrawal includes not speaking to his wife for days on end, "unless he wants me to fetch something," and she will only break the silence if she has something urgent to tell him. "Even then he might not reply or show that he's heard," she said, "but in emergencies his reactions are very fast-He's more contained than most people and, therefore, more helpful than someone who fall apart and goes to pieces." When he is writing. Monk said he does not think of the actual notes or the effect his finished work will have on his audience. "I'm just thinking about the music," he added. "You think about everything else automatically. I think about what anyone else does." And what does he think of the public? "I think very highly of the public. I think they're capable of knowing if something sounds all right. I figure that if it sounds all right to me, it sounds all right to them." The pianist has lived in the same place for 30 years. It's a small, undistinguished apartment on New York's West 63rd Street, and he is very attached to it. "There's nothing special about it," he said, "but I guess I'll always keep it." "Did I say that? Can't remember it. I don't know what's happening on the moon, but I know what's happening in New York. I like New York City. I haven't been anywhere that tops it yet. "I have to listen to New York; I live there. I wasn't born there, but I've been living there all my life. [Monk was born in Rocky Mount, N.C.] You can't shut the sound out too easily; you always hear some kind of noise going on. I guess all sort of things have an effect on what you 're writing. But I was raised in New York, and it's home to me. That's what I dig about it. You want to know what sound I put into my music — well, you have to go to New York and listen for yourself. I can't describe them. How do you expect me to describe to you right here how New York sounds? How does London sound? Can you tell me how it sounds — huh?" 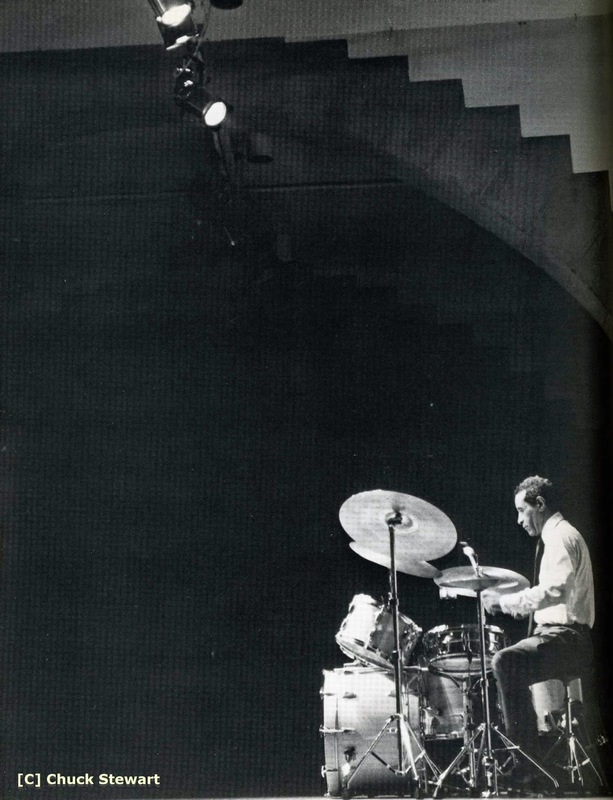 Onstage, Monk often will rise from the piano stool and stand listening intently to the other soloists, swaying slightly in what has been termed Monk's dance. He gets exasperated over comments on such aspects of his behavior. "What's that I'm supposed to be doing?" he demanded. "I get tired sitting down at the piano! That way I can dig the rhythm better. Somebody's got something to say about everything you do! "I miss a lot of things that are written about me. I don't read papers. I don't read magazines. Of course, I'm interested in what's going on in music, but I'm not interested in what somebody else is writing or anything like that. I don't let that bug me. In fact, I don't see those 'columns' or whatever you call 'em. People write all kinds of jive. "I've got a wife and two kids to take care of, and I have to make some money and see that they eat and sleep, and me, too — you dig? What happens 'round the corner, what happens to his family is none of my business. I have to take care of my family. But I'll help a lot of people, and I have.... But I don't go around... (asking]: 'What's the matter with you?' No! I'm not interested in what's happening nowhere. Are you worried about what's happening to everybody? Why do you ask me that? Why should I be worried? You're not! Why do you ask me a stupid question like that? Something you don't dig yourself? I don't be around the corner, looking into everybody's house, looking to see what's happening. I'm not a policeman or a social worker — that's for your social workers to do. I'm not in power. I'm not worrying about politics. You worry about the politics. Let the statesmen do that—that's their job. They get paid for it. If you're worried about it, stop doing what you're doing!" And Monk does not concern himself with the racial scene in any way. "I hardly know anything about it," he said. "I never was interested in those Muslims. 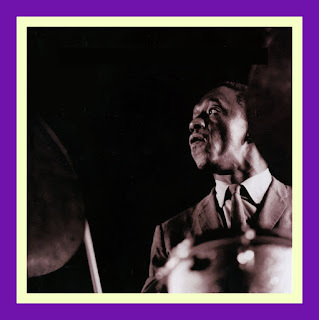 If you want to know, you should ask Art Blakey. I didn't have to change my name—it's always been weird enough! I haven't done one of these 'freedom' suites, and I don't intend to. I mean, I don't see the point. I'm not thinking that race thing now; it's not on my mind. Everybody's trying to get me to think it, though, but it doesn't bother me. It only bugs the people who are trying to get me to think it." Monk is a self-willed person. Rarely does he do anything that does not interest him. He seldom goes to parties, and when he is neither working nor walking around New York City, he is at home with Nellie and their two children, Thelonious Jr., who is 15, and 11-year-old Barbara. Now, at 45, he seems hardly aware of the substantial increase in his income in recent years and says money makes no difference to his way of life. "If I feel like it, I'll spend it," he said, "but I spend it on what anybody else spends it on — clothes and food. My wife and kids spend a lot of money, but I really don't know how much I make. I'd go stupid collecting and counting my money. I worked at $17 a week when I was a kid — make thousands now. At 14, 15 years old, I could do anything I wanted with that money. It wasn't bad for that age. "I really don't want to do anything else other than what I'm doing. I like playing music. Everything's all right. I don't look like I'm worrying about anything, do I? I don't talk much because you can't tell everybody what you're thinking. Sometimes you don't know what you're thinking yourself." A perceptive wife, Nellie added, "You wouldn't know whether he was happy or not at any time. He's always been very agreeable. Even in the direst situations you can't see if he's worried from looking at his face. Maybe you can tell from a chance remark, but he isn't a worrier. We have a theory that worry creates a mental block and prevents you from being creative. So worry is a waste of time." When he is not working, the pianist likes to walk. And when he walks, he says, he walks in a daze. And he and his wife are television addicts. "I haven't been to the movies in a long time," he said. "I look at TV, see everything there just laying in the bed. You have to get up and go to the movies, where you fall asleep in your chair. That way you're in bed already. Bui I never get enough sleep. I haven't slept eight hours through in a long time." Monk is noncommittal about his favorite composers and musicians. "I listen to 'em all," he says. But it is hard to believe that he ever goes out of his way to listen to the music of other people. One evidence of this could be that his own work is so self-contained, so very personal. Today, however, he finds little time to write. His most recent composition, "Oska T," was written more than a year ago, and he continually records the same tunes. Why? "So somebody will hear 'em!" he replied. For the last 10 years or so. Monk's music has become easier to listen to. though it is not necessarily any simpler. What he is doing is as engaging and profound as ever, though seeming to be less provocative than when he was upsetting the rules. "If you think my playing is more simple, maybe that's because you can dig it better," Monk said, and laughed. "It takes that long for somebody to hear it, I guess. I mean, for them to understand it or for you to get to them for them to hear it, because you might be changing and then stop playing, and they'd not get a chance to hear it. "But I never be noticing these things. I just be trying to play."" "Pianist Bill Evans and You, Professor"
Veryl Oakland - "Jazz in Available Light"